Beyond Diet is an online weight loss plan designed to help you achieve your ideal body weight and prevent disease. It was created by Isabel De Los Rios, a certified nutritionist, exercise specialist and owner of New Body – Center for Fitness and Nutrition in New Jersey. When you join the Beyond Diet program the first step is to determine your metabolic type by answering a series of questions. You will be provided with a list of foods that are the best for your metabolism. Following the right diet for your type will help you lose weight more effectively and achieve optimal wellbeing. Next you will use an online calorie calculator to help you determine the foods you should be eating each day. In the Beyond Diet program you don’t actually have to count calories but rather monitor the amount of servings for each meal. You will also see what percentage of protein, carbohydrates and fat are recommended for your metabolic type. Each day you should consume breakfast, lunch and dinner with appropriate snacks in between. It is important to never allow yourself to become ravenously hungry because this has the potential to lead to cravings and overeating. It is also recommended to drink half of your weight in water in ounces daily. Dieters are advised to avoid prepackaged, processed foods and instead to eat the most natural products possible with organic foods being preferred. However, it is not necessary to completely change your diet overnight. You can gradually get rid of one or two of the worst empty calorie foods and replace them with healthy substitutes. By making small changes you won’t feel overwhelmed which increases the chance of you making a long-term adjustment to a healthy lifestyle. Detailed meal plans designed for your metabolism and many recipes. Spinach, lettuce, asparagus, strawberries, apples, mango almonds, peanut butter, organic eggs, raw milk, wild fish, shrimp, grass-fed beef, free-range chicken, Ezekiel bread, quinoa, wild rice, oatmeal, buckwheat, lentils, avocado, raw organic butter, coconut oil, extra-virgin olive oil, unsweetened cocoa, erythritol, stevia, organic red wine. The Beyond Diet doesn’t include an exercise component, however recommendations are provided for several different exercise programs that can be purchased for an additional cost. The Beyond Diet retails for $8.99. Encourages the intake of a wide variety of organic, unprocessed foods. Dieters can start immediately and proceed at their own pace. Suitable during pregnancy and breastfeeding. 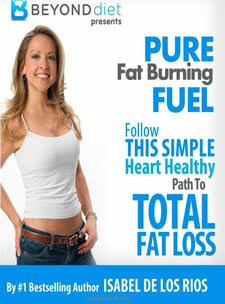 Offers a healthy lifestyle approach to weight management. Meal plan can be adapted for vegetarians. Some dieters may experience detox symptoms such as headaches, dizziness and digestive problems when first commencing the diet. Organic food is generally more expensive. Will require time for meal planning and food preparation. Necessary to monitor serving sizes. Results may take a while to occur. Beyond Diet is an online weight loss program based on eating for your metabolic type and monitoring your caloric intake, with an emphasis on organic food. This plan is designed to help you achieve your weight loss goals by adopting a healthy lifestyle and can be followed as a long-term approach for managing your weight and improving your health.